Here Comes Dennis Brown! Here Comes Dennis Brown! Tucked away in a little booth-like store in Bothell’s Country Village is a sculptor named Dennis Brown. Dennis has been doing what he loves and making a living out of it for 45 years. He’s mastered the art of taking some clay and turning it into his own, unique figurines of Santa Claus, elves and other mythical creatures. And somewhere along the line, he decided to embrace the fact that he looks like Father Christmas. 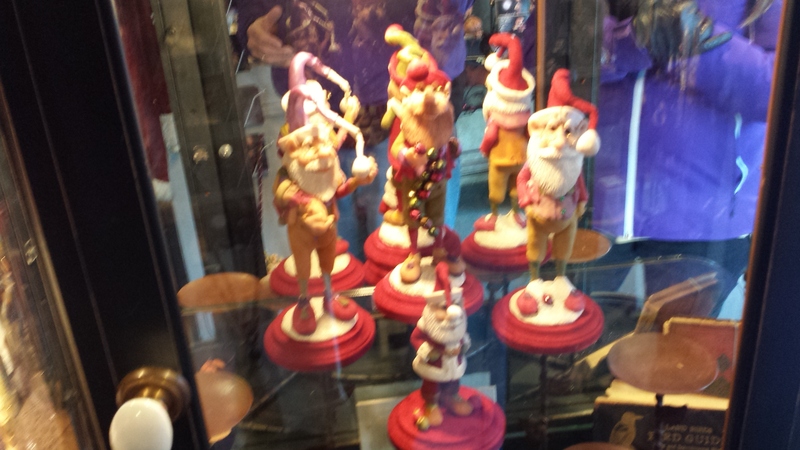 To walk into his shop, you could easily feel like you accidentally wandered into Santa’s hobby shop, where he goes to get away from the clanging of the toys being made or Mrs. Claus asking him to eat more & maintain his bowl full of jelly appearance. Except, he genuinely appreciates you coming into his craft room, where he works on more pieces while displaying his various works all the way up until the second they’re sold. And he does sell out every year. We stopped by and chatted with Dennis on Saturday and heard the thumbnail version of his story. While he maintains his store year ’round, starting November 1st he’s at his little shop selling his crafts 7 days a week until the last one is sold. It’s then that he’ll relax and enjoy the holiday season or at least what’s left of it. Because on January 1, the process starts all over again as he begins to restock his shelves with more of his unique-looking clay sculptures. People actually come from all over to buy his works. Dennis told us the story of the family from Connecticut who has a 16-year tradition of flying out here just to see him, buy some Santa’s, and then head back to Holiday Inn country. His works are hard to resist and we left with a family heirloom for the kids to fight over some day. I asked if he would pose with the one we bought. Dennis is the one on the left. We now have our first Dennis Brown Santa on display at the Hunter household and I have this feeling that it won’t be the last. 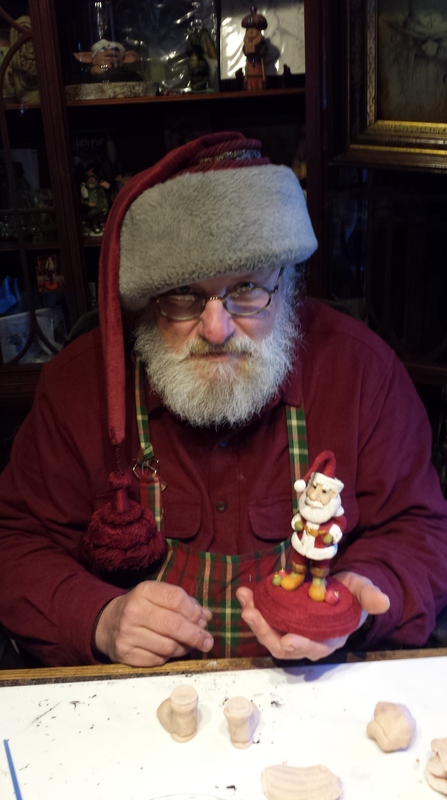 So, if you’d like a little kick-start to your holiday season, want to just hang with Santa and maybe even start collecting a few pieces of hand-crafted art, aim your sleigh towards Bothell’s Country Village Shopping Center and say hi to Dennis Brown. Or, you can always just order things from him online here. Good guy. A right jolly old elf.